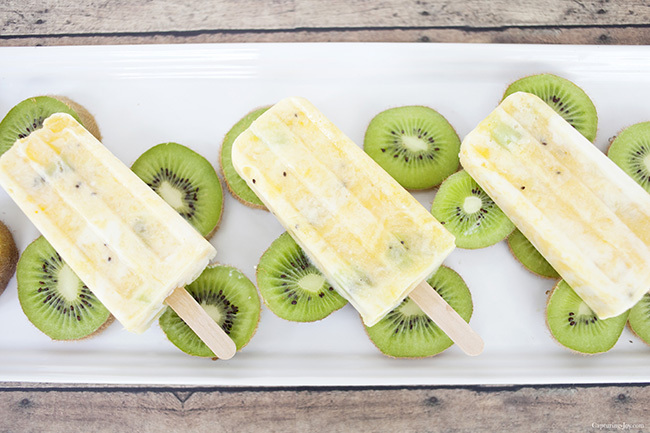 These Mango Kiwi Pineapple Protein Pops will cool down your summer, without any processed sugar, a healthy treat the kids will love to help make and eat! I love citrus fruits, my favorites being mango, kiwi, & pineapple, so I thought I’d try out making them into protein pops, a.k.a. popsicles, with my kids. The greek yogurt is packed with protein, so it helps fill up those mid afternoon hunger pangs, as well. 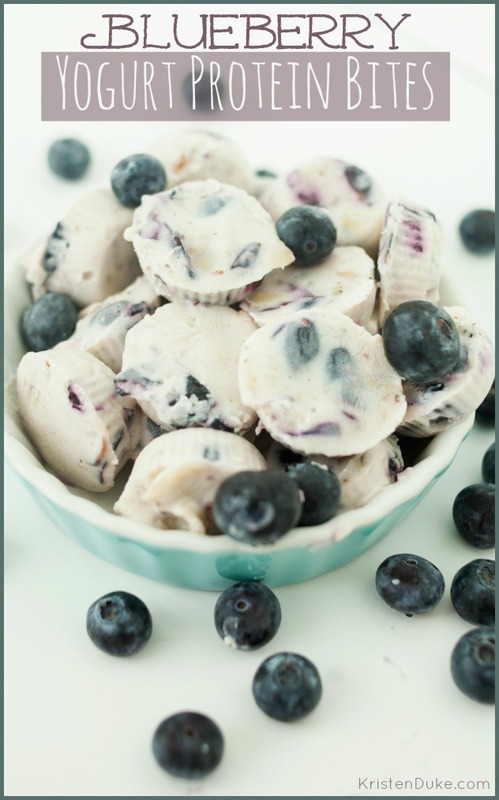 I actually made some similar treats a few weeks ago, you can check out the Blueberry Coconut Protein Pops after, and you may just find you love making your own pops. I love to get my kids involved in the creating process as much as possible. My boys (14 and 12) will do it if I ask, but my girls (9 and 6) actually ASK! With this particular pop, I wanted to keep the texture of the actual fruit in part of it, so I did some chopping, as well as some blending. My popsicle mold holds 10, and with traditional popsicle sticks, this has been my favorite mold by far (and I’ve tried a few over the years). Split the Fresh fruit in half. Chop up 1/2 cup of each fruit, and set aside. 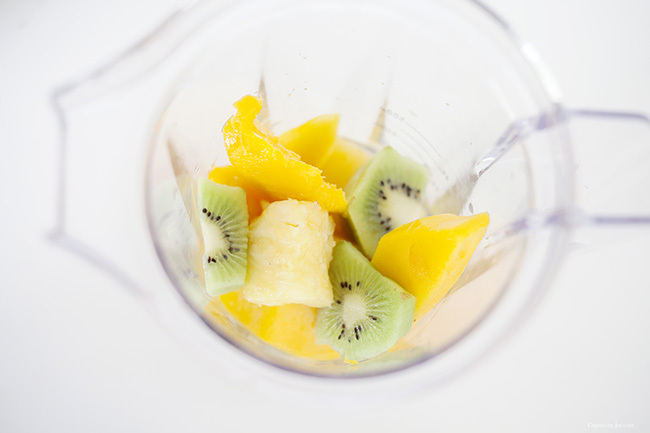 With the other half, blend until it forms juice. Set aside. Mis the yogurt, coconut milk, and honey together, then blend both juices. 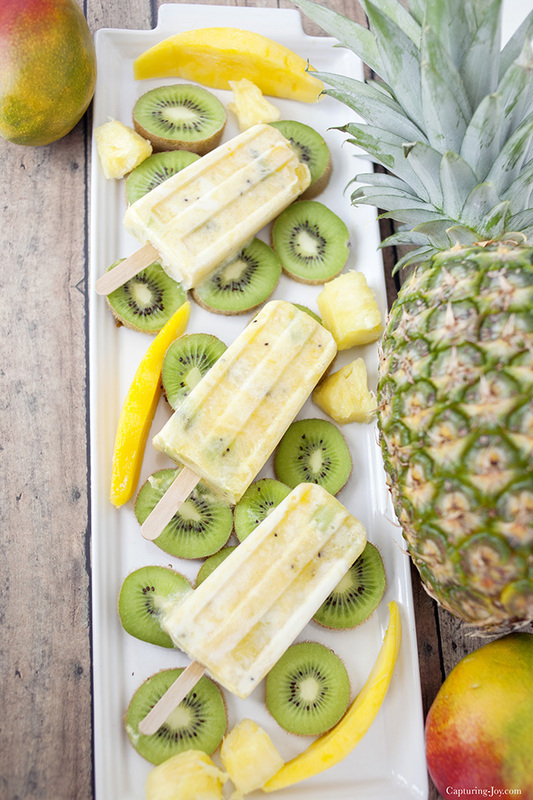 Fold in the fresh fruit to the mixture, then spoon into popsicle mold. 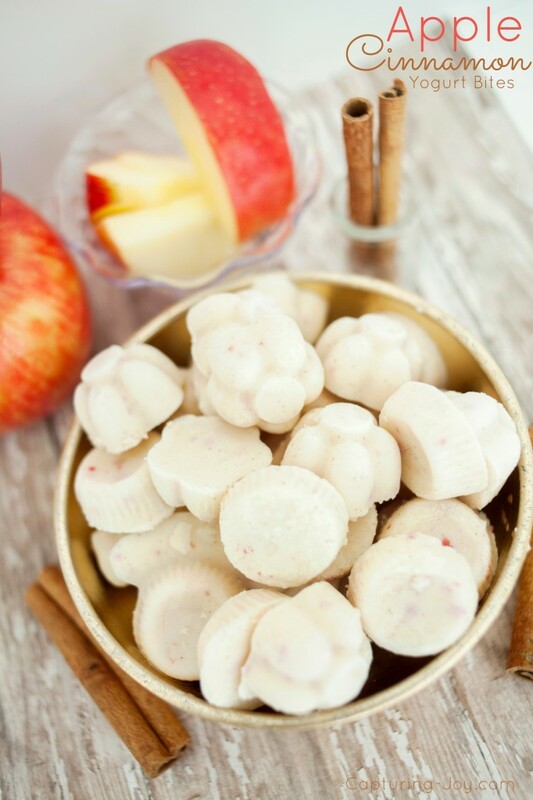 Put it in the freezer for 30 minutes, then slide in the popsicle sticks. Freeze 4-6 hours until firm. When they are ready to eat, let them sit out for 5 minutes, then wiggle each out to enjoy!